I’ve been making veggie pâté for years which naturally leads to experimentation. Different spices and herbs, vegetables or flours. To be honest, they all turn out delicious which is why it’s such a great recipe. It’s flexible, forgiving and as a bonus, it freezes well. What more do you want? 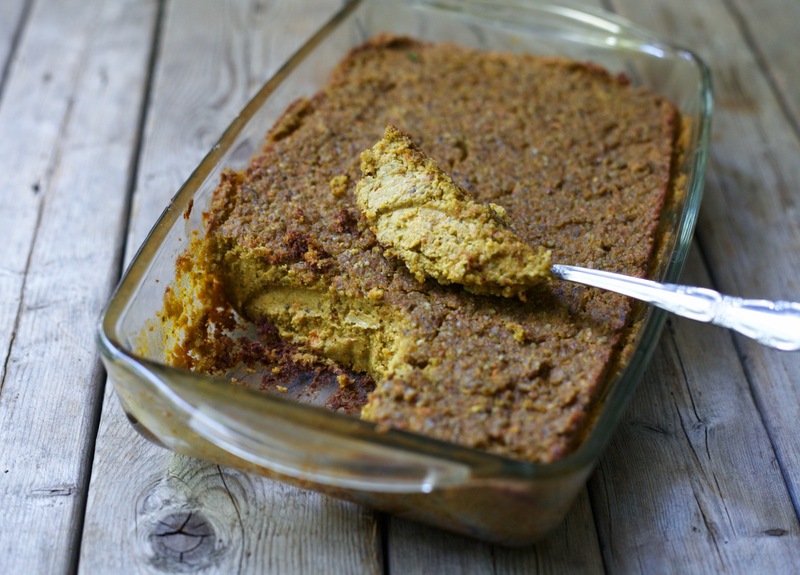 This vegan sweet potato & turmeric pâté is a fun variation of my original recipe. 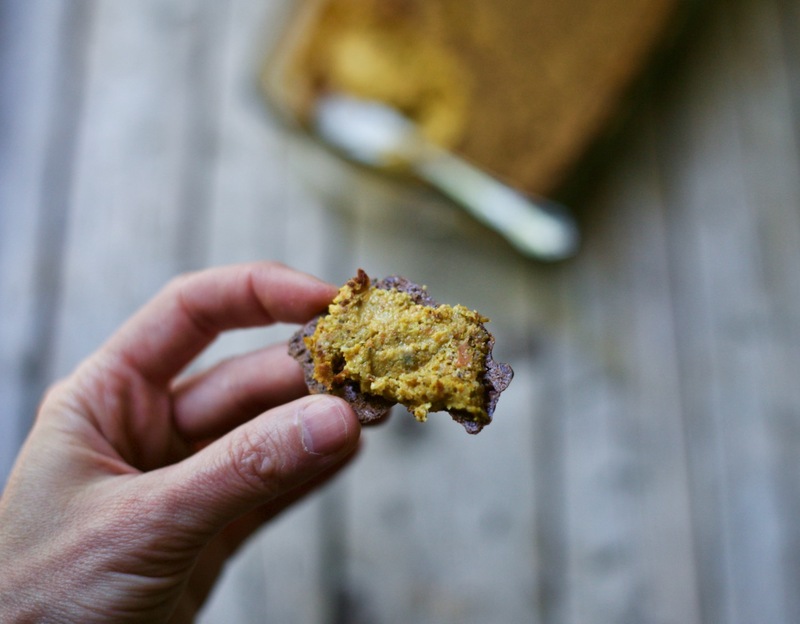 I use chickpea flour instead of whole-wheat to make it gluten-free and add protein, and a sweet potato in lieu of the regular potato for a hint of sweetness. I’m also updating the instructions here for best results. Preheat the oven to 350F. Toast the sunflower seeds in a skillet for a few minutes, until they are aromatic and a bit darker in colour. Transfer to a food processor and grind coarsely*. Transfer the ground sunflower seeds to a separate bowl for now. Chop the sweet potato, carrot and onion into chunks, and mince the garlic. Add the vegetables to the food processor and process until grated. Add all remaining ingredients (ground sunflower seeds, olive oil, water, chickpea flour, nutritional yeast, spices and herbs, salt). Pulse until just combined*. *I like some texture to my pâté so I grind the sunflower seeds coarsely and I don’t over-process the vegetables. If you prefer a smoother pâté, process until you get a finer/smoother texture. 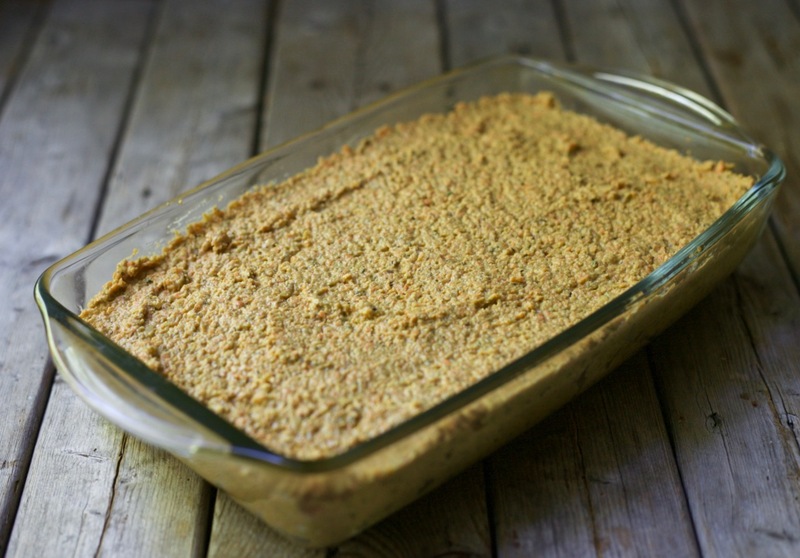 Transfer the pâté mixture into an oiled 9×5 baking dish. Cover with foil and bake in preheated 350F oven for 40 minutes. Remove foil and continue baking until golden and cooked through, another 10-15 minutes. Cooking time varies from batch to batch based on size of vegetables, so use this as a guide. The pâté holds best if it’s left to cool for 30 minutes to one hour before you dig in. 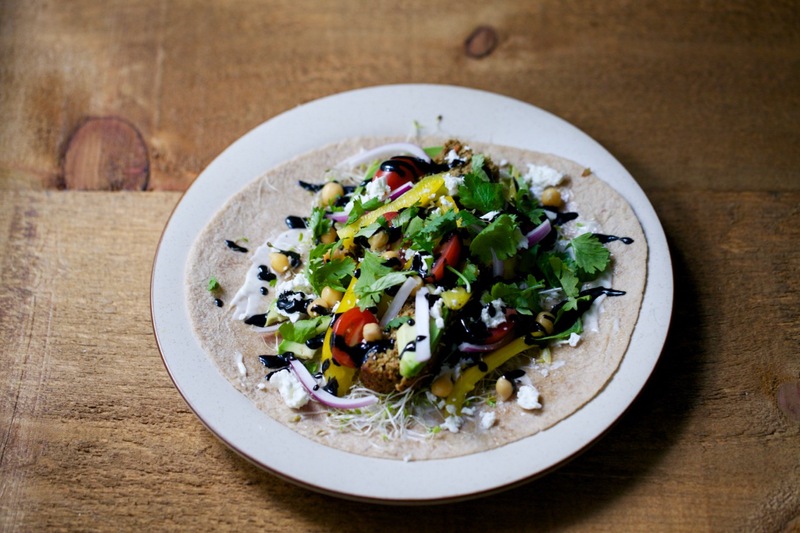 Enjoy in a sandwich / wrap / pita, on crackers or on its own. This recipe yields a good amount of pâté so I often freeze half of it. It freezes and thaws well if it’s been properly wrapped to prevent freezer burns.